Breathtaking views across White Island to Bohol shimmering in the distance in our garden rooms or relax by the pool in our poolside rooms. Our rooms are only designed for a single person, a couple or 2 singles willing to share, as they only contain 1 queen size bed. We cater to a maximum of 2 people per room. 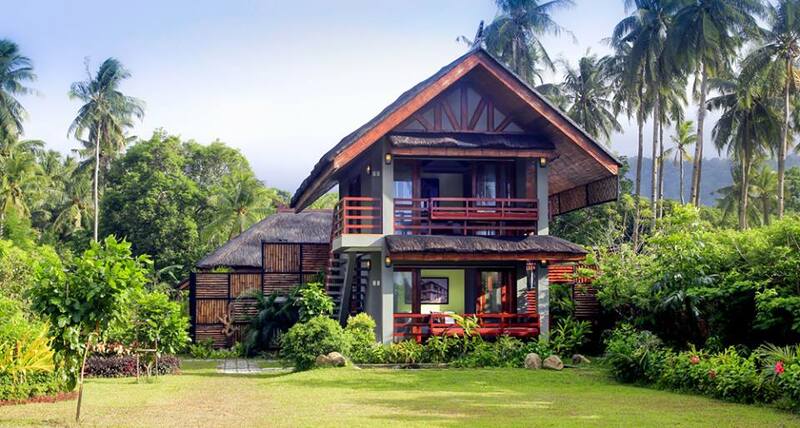 4800Php Per night garden rooms & poolside queen. 5500php poolside king. **Please note, our rooms are not designed for large groups or families. We do not have "family rooms" in the typical Filipino sense. We strictly adhere to our maximum occupancy rules. If you arrive with more guests than you booked for or the stated occupancy your booking may be cancelled with loss of deposit. Please contact us if you need accommodation for more than 2 people in the room and we will see how we can accommodate you in other rooms of the resort.